Cuba Libre - It meant Free Cuba, or A Free Cuba. Everybody knows the drink, with rum, Coca Cola and lime. They have a cola in Cuba, but it's not Coca Cola. I've not seem many limes in Cuba. Was the drink the name behind this web site? Is Cuba free now? 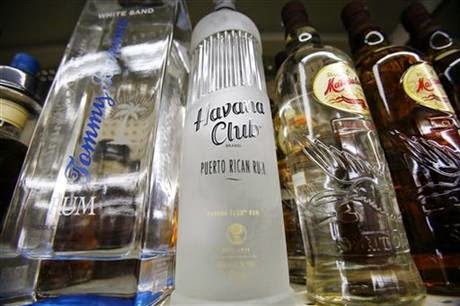 “MIAMI (AP) — U.S. rum aficionados are abuzz over the possibility of mixing a Cuba Libre with authentic Cuban rum, now that they will be able to bring home liquor distilled in the communist nation. Relaxed limits on what licensed U.S. travelers can bring home mean that Americans will be able to enjoy small quantities of the liquor at home. But, with the embargo still in place, the rum won't be flooding bars or the market.